Tomatillos are an interesting fruit/vegetable*. They look like small green tomatoes (their name means "little tomato") but are only distantly related to tomatoes. They grow in a papery husk called a calyx and are closely related to a group of fruits with overlapping names: the Cape Gooseberry (unrelated to regular gooseberries), the groundcherry, the goldenberry, the physalis, and other names. Tomatillos are on the sour side and citrusy in flavor. I find that adding them to other vegetable and meat dishes adds a nice bright note. They are usually associated with Mexican, Central American, and South American cooking. When you first buy tomatillos, slip off the husk and then rinse them to remove the stickiness and dry them. They will keep for several weeks in the refrigerator. You can also freeze them whole, and then use them in sauces, stews, etc. As with most non-starchy vegetables, there is no scientific study of the glycemic index of tomatillos. ¼ lb (4 oz) tomatillos: 2. Tomatillos are a good source of vitamin C and contain smaller amounts of other vitamins and minerals. * Fruits vs Vegetables: Botanically, the fruit of a plant, that is the part that contains the seeds, is a fruit. So, for example, eggplant, green beans, squash, tomatoes, avocados, and cucumbers are all the fruit of the plant. Traditionally, however, we call foods fruits or vegetables according to how sweet they are. 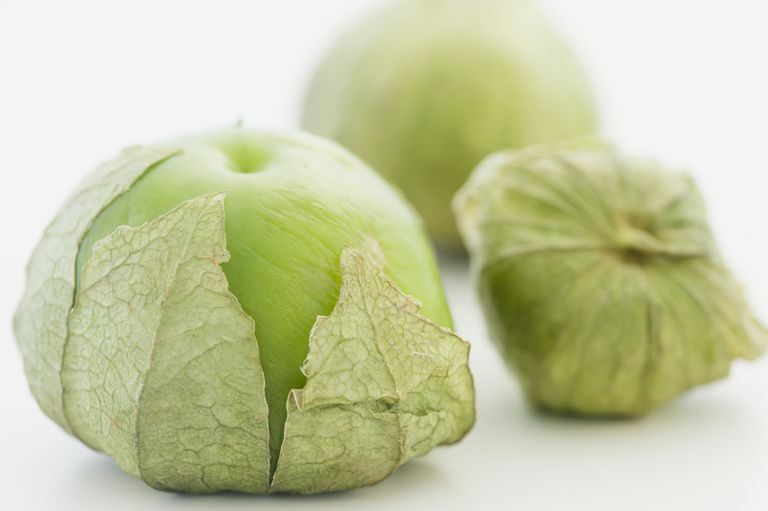 Tomatillos are used like a fruit in some places, for example, to make jam, but usually, they are used more like a vegetable.